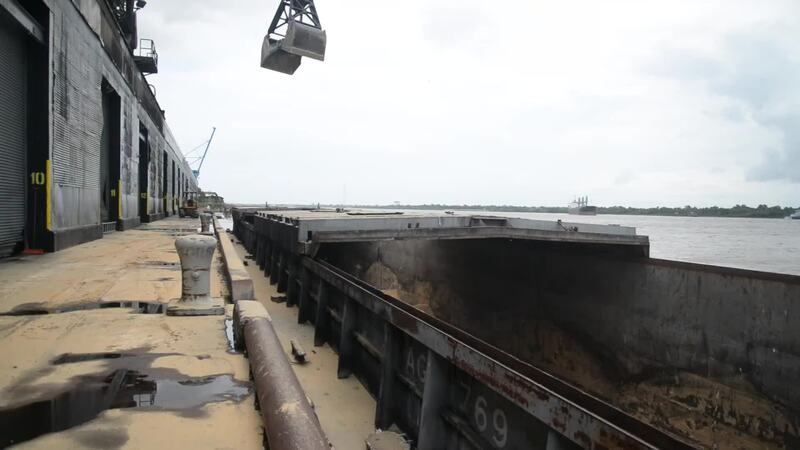 Raw sugar arrives at the refinery by both trucks and barges. 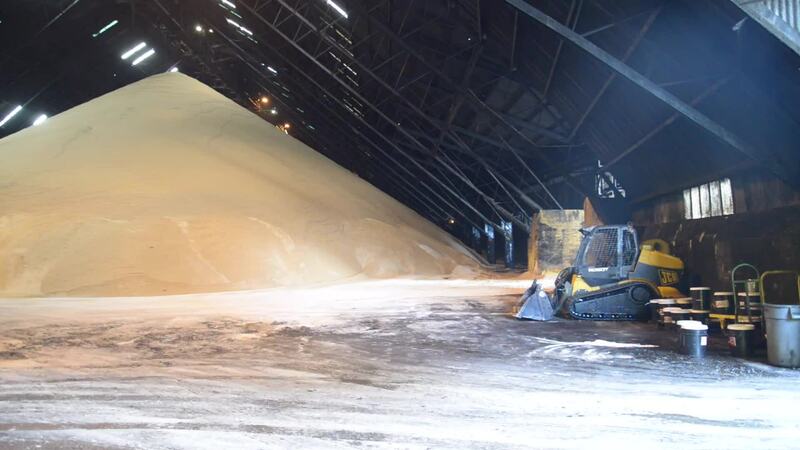 Trucks unload their cargo directly into the raw sugar shed, while barges moor at the Domino docks where a mobile crane mounted on rails uses large mechanical Grabs to scoop and lift the sugar onto conveyor belts. These belts transfer the cargo to the weigh tower.